You may wish to make your reservations soon for the newly-renovated General Sherman’s Inn in Bloomsdale, Missouri. The beautifully-renovated 1860s home features antiques and period furniture inside, and a synthetic shake roof outside. 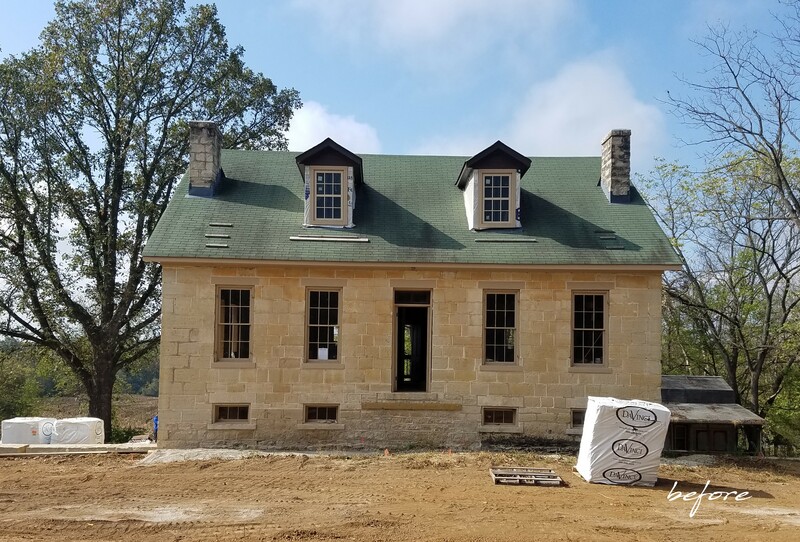 To prepare the structure for guests, Sago had to fully replace the electric, water, sewer and HVAC systems for the house. The interior plaster, in terrible condition, also had to be fixed. ack in the 1860s wood cedar shingles topped the home. A renter covered the roof with green asphalt shingles in later years. 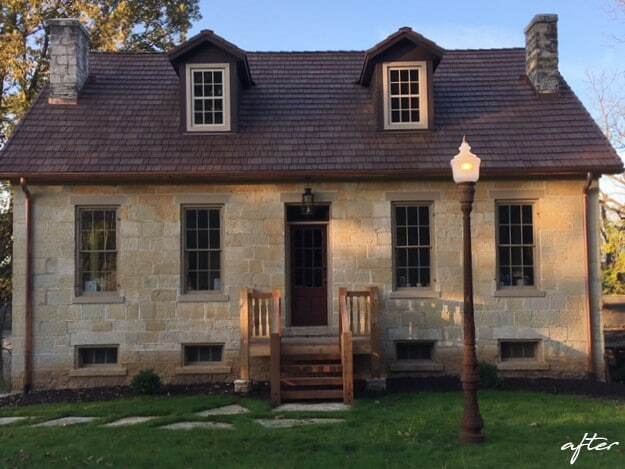 Sago had Bellaforté Shake tiles in an Autumn blend installed this past year on the stone home that sits on 100 acres. “Initially I thought the cost of the synthetic shakes were expensive,” says Sago. “However, then I gained more information and understood that the life cycle for DaVinci shakes is very long compared to typical shingles. 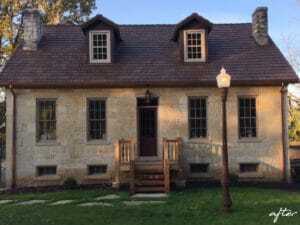 Built in the 1860 to 1870 time frame by Christian Funk, the new bed and breakfast is located 10 minutes south of Festus, Missouri. Sago purchased the home in 2014, but he had previously owned the ground and farm surrounding the home for 23 years.